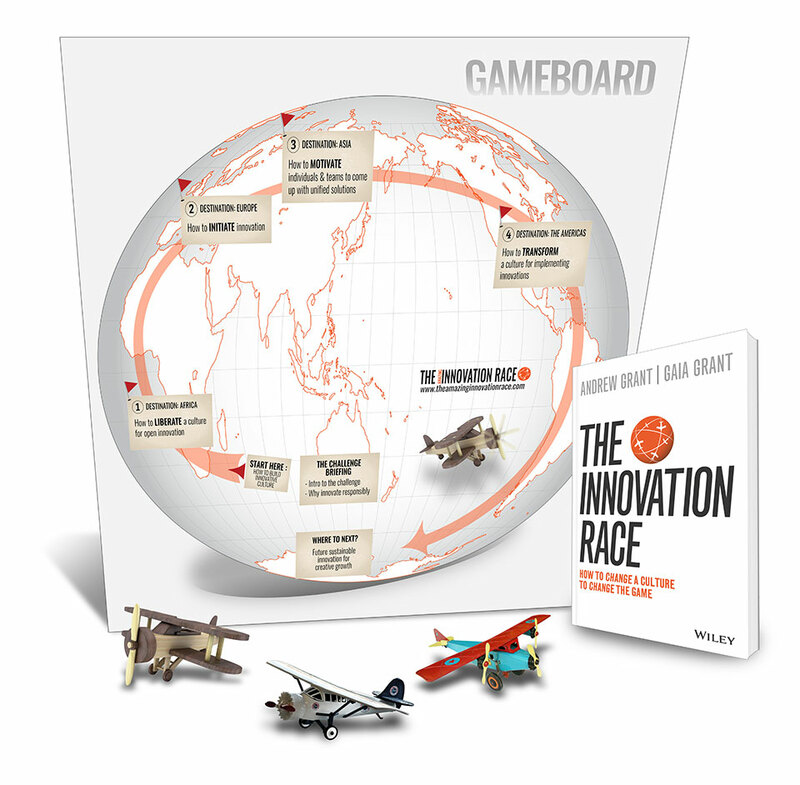 The Amazing Innovation Race is a fun and fast-paced game that takes players on a global challenge to explore the past and current states of innovation. 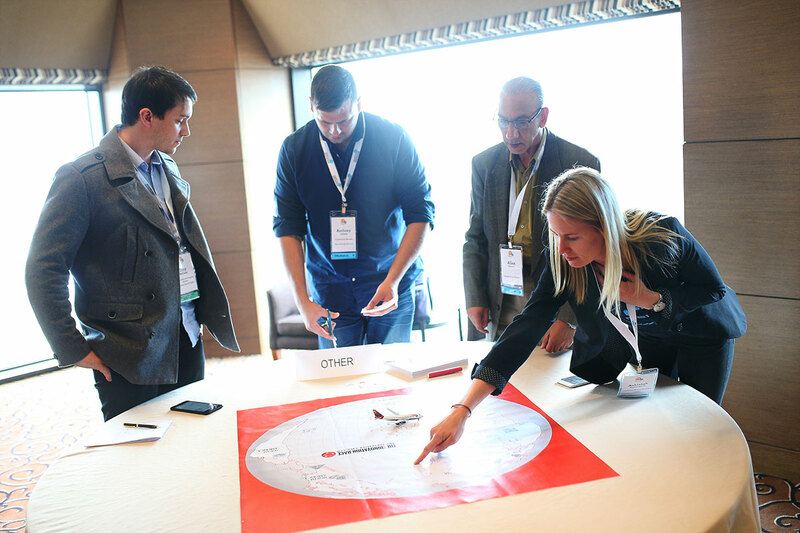 Participants explore better future options for more purposeful and sustainable growth through gamification methodology. Teams gather clues and solve challenges to find the destinations on the itinerary, then deciding on the best way to ‘travel’ to each destination together. They learn about how to survive the Innovation Race through amazing facts and multiple case studies. Using the metaphor of reality TV, the participants soon discovers the reality that there are no passive viewers in this race, but all must become active participants. As teams reach each new location they will be required to sort through fascinating historical and cultural artefacts, along with researching modern day case studies. Each destination ends with the participants reflecting on their own leadership styles, and organizational structures that best support innovation allowing them to create action plans to move ahead. With a hands-on interactive format, table group teams are encouraged to work through to the best solutions in a safe environment. Drawn from both academic research and practical experience, the Amazing Innovation Race game aims to encourage deep cultural transformation. The teams that can best adapt to and navigate the emerging paradoxes through a situational approach will have the best chance of reaching the destination successfully. Teams race to all seven continents to visit historic sites where they discover the potential challenges and identify the clues to success through an engaging game show format. They must determine their own itinerary and travel in the fastest and most economical way possible in order to survive the challenges and ‘get ahead’. 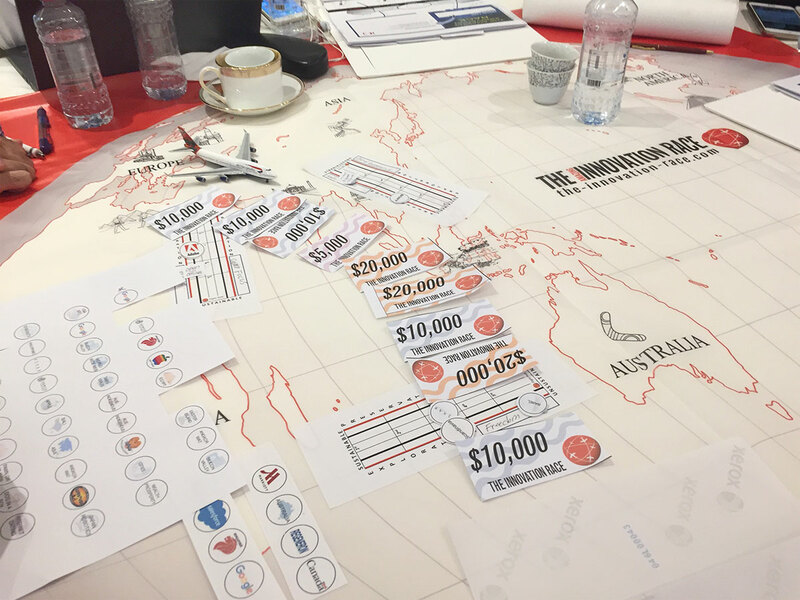 As they travel the teams uncover the problems and paradoxes associated with innovation and must design and navigate the best ‘flight path’ around the world. They are given a number of contemporary organization case studies to identify the different positions that can be taken, and then reflect on their own and their team’s positions. The teams collect photographic and archeological evidence of their travel experiences and learning to share at the end in a team travelogue presentation, resulting in a memorable take home digital presentation. The Innovation Race workshops / topics can also be delivered in this gamification style model. Using interactive gamification techniques, teams race around the world visiting different continents and collecting clues at each destination.